The Department of Corrections announced that it will host its inaugural “Corrections Week” from June 29 – July 5. Several events are on tap for next week and members of the public are encouraged to participate. The theme for the week is “At Your Service”. 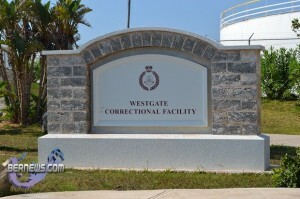 According to a Department spokesperson, the week is aimed at highlighting the work done by Corrections Officers within the Island’s prison facilities. The week will also serve to highlight the many community service and outreach programmes undertaken by inmates. “Corrections Week” will be launched with a special church service at the Heritage Worship Center at 11.00 a.m. this Sunday. Also in an effort to encourage young people to consider a career in the Department of Corrections, high School students and college students are invited to attend a Career Day at the Westgate Correctional Facility next Wednesday, July 2, from 9.30 a.m. – 12.00 p.m.
Other events next week include a Proclamation and art exhibit event at City Hall, a golf tournament, a “fun day” at Clearwater Beach and an appreciation and awards ceremony that will close out the weeklong festivities. Premier Dunkley said, “As Premier and Minister of National Security, I’m pleased to join with the Commissioner and the employees of the Department on the observation of their inaugural Corrections Week. “Corrections Week is in keeping with other jurisdictions in recognising the contributions of Corrections Officers and support personnel who work in our prison facilities. It highlights the works that they do in helping to keep our community safe. “The Department of Corrections remains committed to their overall mission of empowering inmates to be responsible and productive citizens. The men and women who choose to wear the uniform are called to a unique kind of service and I have seen firsthand how hard Commissioner Lamb and his Officers work in often trying conditions in service to the Government. “This week we will highlight numerous outreach programmes and initiatives which demonstrate the many ways our Corrections Officers are helping to return inmates to the community as upstanding citizens. For those who like to critercise Bermuda’s Correction Officers this program would give them a full in depth look at our Prison System. Most of the worst Crittic’s won’t even last a day on this job. Very difficult Job – it’s also very stressful – not to mention one of the most Dangerous of all Jobs in Bermuda. and underpaid!